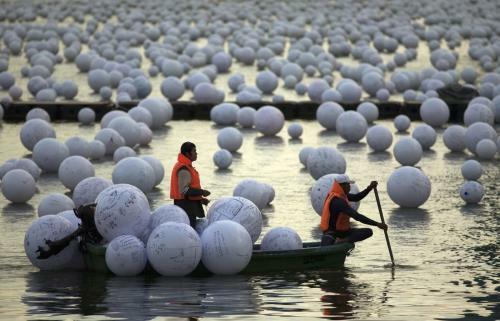 Thousands of abnormally large ostrich eggs appeared over night in Singapore River. Frightened Singaporian inhabitants immediately covered them with "wish" graffiti in a bizarre religious ritual. As of press time, not a single had hatched.